WF 95 - Global International B.V. 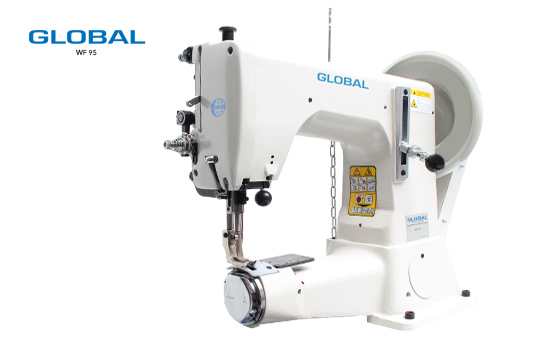 Extra heavy duty short arm cylinderbed sewing machine with a stitch length up-to 11mm This machine has a working space of 23 cm between needle and frame and a large shuttle hook. 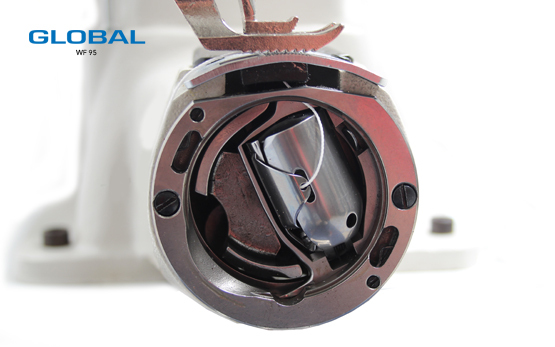 Extra high presser foot lift of up to 24mm. 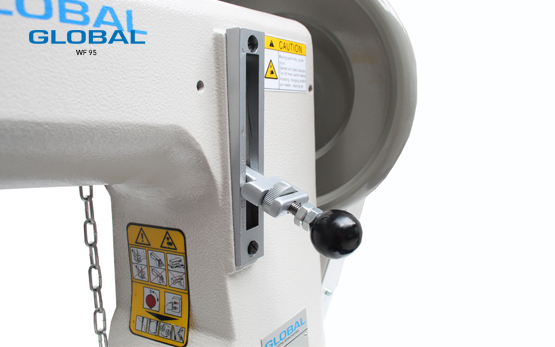 Suitable for sewing heavy weight material such as bags, saddles, seats, harnesses, safety belts, straps. 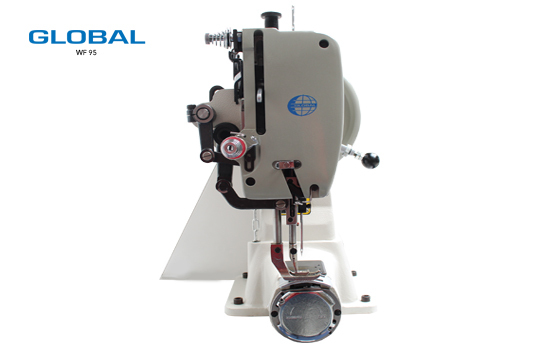 Pneumatic presser foot lift is available as an option.